Excalibur is an elegant and refined young stallion with good gaits and superlative jumping style and scope (9 for jumping). 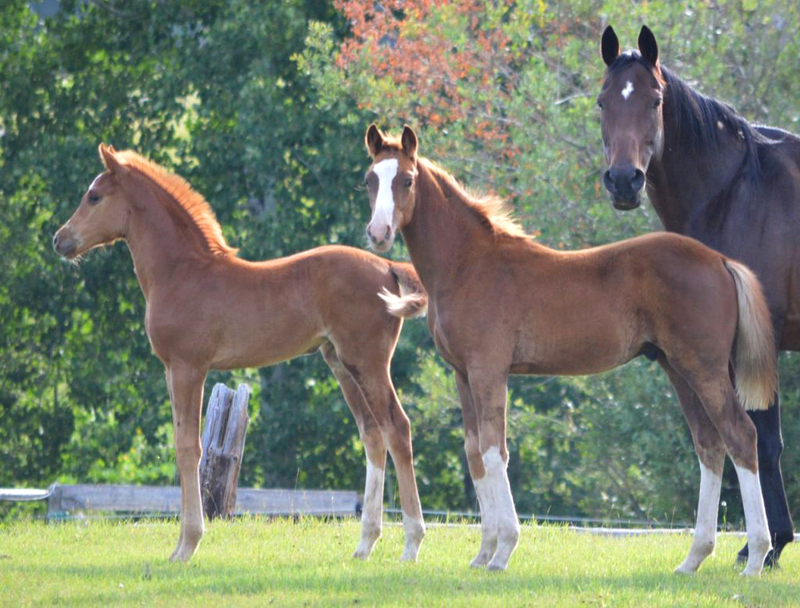 He is sired by the Champion Hanoverian Stallion Escudo I, whose performance and offspring in Germany are creating a sensation in the jumper ring. 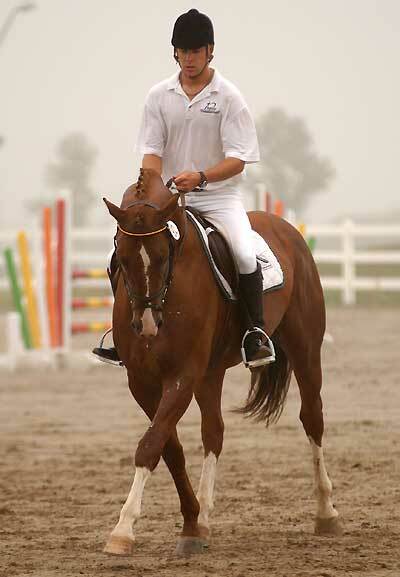 In 2001 Escudo I’s offspring were first and second in the Hanoverian Championships for four-year-old jumpers, high selling horse in their Summer Auction and he again produced several licensed stallions. Excalibur’s dam, descended from the legendary Furioso II, is half-sister to Zanzibar II 1998 CWHBA licensing champion. 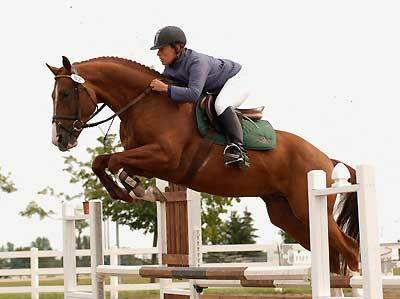 We are very proud of this exceptional young Canadian-bred stallion. In addition to his spectacular jumping talent he possesses very exciting gaits which have been apparent since he was a weanling when he was overall Champion in the Northern Alberta open foal class. Excalibur is a talented young horse. He is ready to make his mark in the breeding shed or as a performance champion. We recommend Excalibur as a refining stallion to be used on warmblood mares of substance and to improve jumping technique.